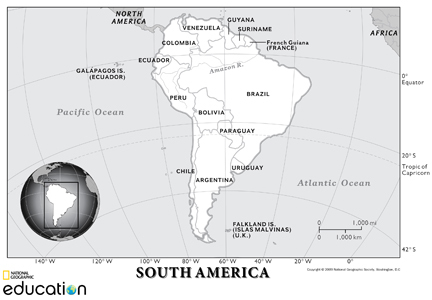 South America contains a range of very different landscapes. About 60% of the continent is covered in vast, grassy plains. The towering Andes mountains stretch along the west coast, with the long, thin Atacama Desert situated between the mountains and the sea. Tropical rain forests spread in a lush green blanket across huge areas of the northeast. It is famed for its natural wonders. The natural wonders include world's biggest rainforest and the largest river, the highest mountain range outside Asia, remote islands, wonderful beaches, wide deserts, icy landscapes, the world's tallest and largest waterfalls, as well as several other breathtaking natural attractions. This continent also has world-renowned ancient sites and man-made modern architectural sights. Ancient civilizations left behind their mark with architectural wonders that include remnants of ancient cities, pyramids, temples, and historical relics. 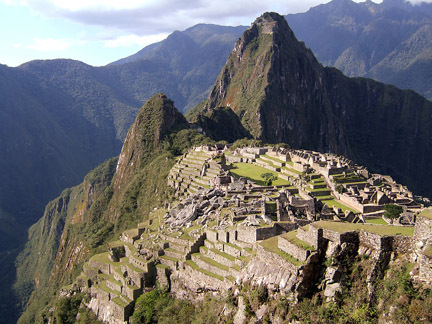 Some of the most visited ancient sites include Machu Picchu and Nazca lines in Peru, and Easter Island, a special territory of Chile. Millions of tourists visit this continent every year to explore the remnants of rich ancient history, breathtaking architectural and natural wonders, enjoy a diverse array of foods and cultures, visit vibrant and colorful cities, and travel to spectacular landscapes. Tourist attractions in this continent are never-ending, but every itinerary will have many such must-see attractions for everyone who wants to travel and explore this continent.